Transport For Ireland (TFI) Leap Card is a convenient way to pay for travel on Bus Éireann services within the Republic of Ireland. Leap Card may now be used for the purchase of single fares on all scheduled Bus Éireann services, within the Republic Of Ireland. Leap Card may also be used for the purchase of zonal multi-journey period Leap products on commuter services in the Greater Dublin Area and on city & some selected stage carriage services in Cork, Galway, Limerick and Waterford. On all Public Service Obligation (PSO) services operated by Bus Éireann, Leap single fares are 30% cheaper than cash single fares. There is no Leap discount for single fares purchased on Expressway services but Leap Card may be used as a convenient method of payment on these services. Leap Card saves customers having to carry change and is easy to use. Customers simply buy a card, Top-Up with Travel Credit or a period ticket and away they go! 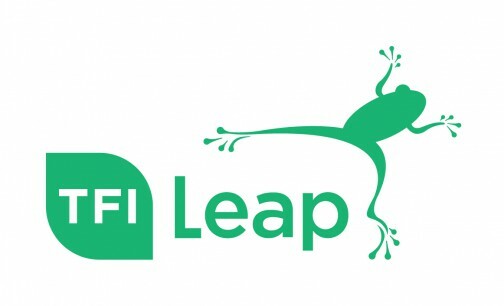 Visit www.leapcard.ie for information on how to pick up and use a leap Card. PSO commuter services in the Greater Dublin Area. Leap products are available for designated Red, Green, Blue, Yellow and Orange zones. 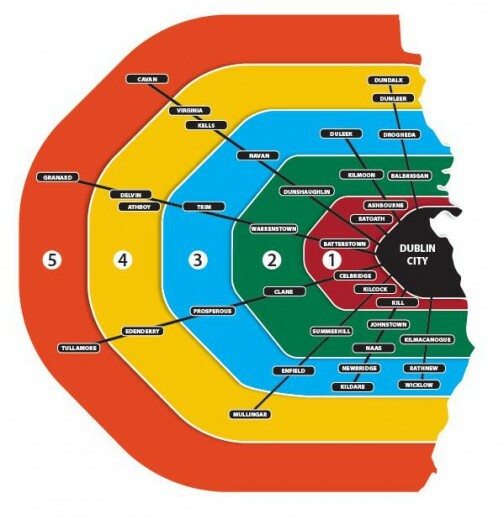 PSO city and selected commuter & stage carriage services in Cork city and county. Leap products are available for designated Red & Green zones. PSO city and selected stage carriage services in Galway, Limerick and Waterford cities. Zonal products are available for designated Red zones.